Alderman Zielinski joins the show to talk about his vision for Milwaukee and opposition to the streetcar. Ald. 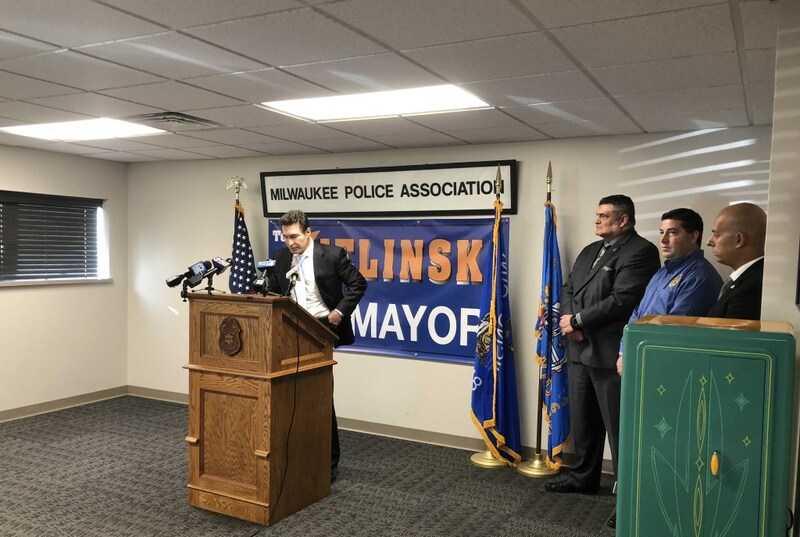 Tony Zielinski announces he’s running for Mayor. Photo by Jeramey Jannene. There is only one candidate officially running for mayor in 2020. And while the primary election is 13 months away, Alderman Tony Zielinski is working the campaign trail. The Bay View alderman joins City Beat host Jeramey Jannene to discuss his vision for the city, including his stance on the minimum wage, the streetcar, education and police strategy. The show is recorded live on Tuesday’s at Riverwest Radio. If you want to listen live, tune it to 104.1 FM or RiverwestRadio.com Tuesday’s at 3:30 p.m. Or subscribe to the podcast via iTunes or a number of other podcast platforms. I hope his choice of Milwaukee historical figures is not reflective of his governing philosophy. Reactionaries have been dissing the streetcar since Barrett got federal funding for it decades ago. They did their best to keep it from happening. Now that the Hop is happening, some sullen reactionaries are still in diss mode – despite the apparent popularity of the new streetcar. Z looks like he is joined at the hip with the knee-jerk nay sayer Bob Donovan on this issue.